Desperate to get away from recession in Dublin and their complex families, Joanne and Suzie head to Los Angles, California to start a new life. They plan on spending days shopping, soaking up the sun on the beach, enjoying the nightlife, and meeting new people. 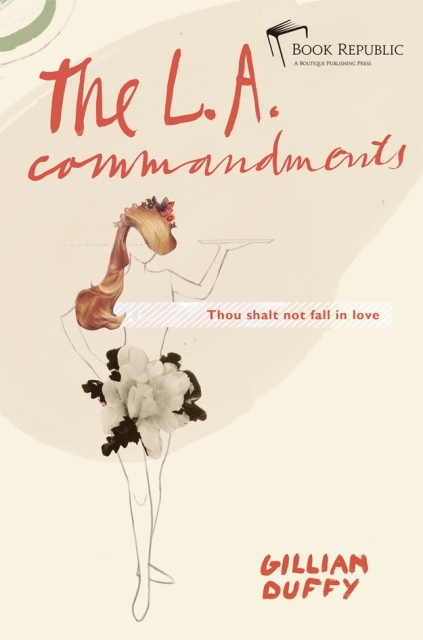 They set rules for themselves, the most important being “thou shall not fall in love,” but not everything goes according to plan. Joanne “Jo” and Marc = Not complicated! There’s little drama (except for at the end), and they seem to be in sync with one another. At first there isn’t attraction on Jo’s part, but it’s because Marc (who’s part of a band) is shy, doesn’t talk much, and is a fool. They get over this hump and realize they have more in common than they thought. They spend countless days and evenings together, sometimes not even leaving the bedroom. When Marc goes back home to take care of his mom, they stay together through texts, phone calls, and emails, patiently waiting for the day he returns back to L.A. When he does, it’s like he never left. Soon after, Marc tells Jo that he has to leave again to go on tour, and asks her to come with him. Jo is beyond excited to be traveling around with her man. While at the beginning of the tour, something happens so tragically that Jo goes back home to Dublin. While Jo’s in Dublin, everything changes. When she sees a picture of Marc and another woman together, she is shocked, and demands answers! Who’s to blame for this, and will these two stay together? I think I’m spoiling it, so you’ll have to read the book! Suzie and Chris = Complicated! When Suzie meets Chris for the first time, it’s love at first sight – but only on her end. She often sits at the bar watching (starting at) him while he works. Most of the time, she’s unable to say a word to him, because she gets tongue-tied. While Chris notices her, he’s definitely not a one-woman man! Most everyone tells Suzie he’s not good for her, but she doesn’t listen. Jo warns her to be careful, but there’s only so much she can do. On the other hand, there’s Paul, sweet Paul. He worships the ground Suzie walks on and would like to be with her, but he knows that she only has eyes for Chris. When Suzie finds something out about Chris, she then sees the light. But when Suzie realizes she still has some ties to him, she’s devastated and scared, (I wish I could say what happens, but that would spoil it). After time has passed, Suzie is back in the swing of things and acting like her old self, but could it be to all the time she’s been spending with her “friend” Paul? Do these two ever become more than friends? I loved this book! I loved the characters, and thought they were really well written. When each chapter ended, I wanted to keep reading because of twists and turns! And what’s not to love about hot men who speak with accents! The friendship between Jo and Suzie is so close, that it seems that they could be sisters. While I don’t have a sister, I have someone like a sister, so I definitely related to this book. During happy, sad, and devastating times, these girls are there for one another, and that means something to me – it’s one of my favorite parts of why Chick Lit is what it is! Gillian Duffy has written a very memorable book, one that I loved from start to finish, (I even cried at the end)! If you’re looking for a book to give to your sister or a girlfriend who is like one, this is the book for you! It would also make a perfect summer read! **Click HERE to read my interview with the author, Gillian Duffy!